In this Episode I introduce the I Chose This Life Series. 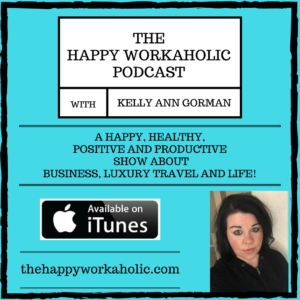 I Chose This Life is a weekly series on The Happy Workaholic Podcast showcasing Inspiring Female Entrepreneurs. Every Wednesday you will hear from a different guest who will share their journey, their struggles, milestones and personality as they keep it completely raw and real. You’ll learn about their biggest motivators and why they chose their business and life they are living now! Guests will answer a list of questions throughout the show and the discussions will be fun, fearless and focused on career! Conversations you will not want to miss and lots of notes you are going to want to take. Launch date announced on Monday 7/24/17 on Instagram @kkinvegas!